The demand for eco-friendly clothing is growing by the day with an ever-increasing number of brands acknowledging the various benefits of hemp wear and other types of natural fabrics. These natural materials are favored by an increasing number of clothing brands for myriad reasons, including comfort, durability and versatility. While hemp can be utilized across many industries, is a favorable option for clothing for a variety of reasons. Hemp fibers can be used to create a wide array of products, including hemp wear like shirts, jeans, dresses, bags and hats. Other uses include skin care products, food products, paper and building materials, to name a few. As the battle to preserve the earth wages on, more and more consumers are searching for eco-friendly clothing options. Whether you own your own clothing company or are simply on the hunt for clothing that both looks and feels good, there are many reasons why hemp is fashion’s often-overlooked miracle fiber. The fashion industry is notorious for its environmental footprint. Cotton is among the biggest offenders as the pesticides and leaked chemicals used to maintain it are intensely harmful to the environment. Hemp, on the other hand, is an eco-friendly crop that requires little water and no pesticides for growth, and it renews soil after each growth cycle. Conventional cotton requires one third of a pound of chemicals in order to produce just one t-shirt. This has led many eco-conscious brands to explore other options in regard to clothing production. Hemp’s popularity is due largely to its eco-friendly properties. This renewable resource is produced from living plants, meaning it absorbs the carbon dioxide it releases. During textile production, professionals are able to process hemp without the use of toxic chemicals. Its resiliency has also proven effective in cleaning up soil pollution. In fact, hemp may be grown consecutively for two decades without affecting its surrounding soil. Aside from a decrease in harmful chemical use, hemp also uses only a fraction of the water used for other products, like cotton. Hemp requires only 1/20th of the amount of water cotton requires for growing and processing. Hemp is a favorable fiber to use in clothing for many reasons, with comfort ranking high among them. While cotton is commonly known to the fashion world as one of the most comfortable fabrics, hemp has characteristics that render it nearly as comfortable. Like cotton, hemp gets softer with each wash and wear. It also offers exceptional breathability, wicking moisture away from the body and cutting down on odors. Its porous characteristics keep people cool during the summer and warmer during cold weather, much like wool or bamboo. Additionally, hemp has antibacterial properties far superior to those found in other natural fibers. Hemp is extremely durable. Lightweight and absorbent, it boasts three to four times the tensile strength of other common materials like cotton. Hemp is an excellent material to use in clothing intended for outdoor wear. Mold and UV resistant, hemp is ideal for clothing worn in tropical conditions. Its strength and durability ensure that it will not break down as quickly as other materials, like cotton. One of hemp’s strongest aspects is its versatility. Hemp may be blended with other fibers, such as silk or cotton, to create unique textiles. While cotton must be dyed to assume different color properties, natural fibers like hemp can naturally be found in shades like black, green, brown, grey or white. Hemp is also more water-absorbent than other materials like cotton, meaning it retains dye more effectively, keeping clothes from fading after washing. These qualities render hemp a favorable option for a growing number of fashion designers seeking an environmentally friendly option when creating clothing that is as versatile as it is aesthetically pleasing. Aside from its many uses, hemp is also cost-effective due to its minimal growth requirements. Hemp is so durable, it reduces the need for new clothing, which can save customers big money over the years. Hemp is also harvested and processed by hand, resulting in a growing number of jobs – a positive for any economy. Clothing brands that utilize hemp in their designs are creating jobs, which has a positive impact on the economy. A few of fashion’s most popular hemp wear brands include the following. Nomads Hemp Wear has specialized in sustainable fabrics for 14 years. Combining fashion with an eco-friendly company mission, the company offers a wide variety of clothing items, including those made from specially fabricated hemp blends. Founded in 1995, Hempest is among the most successful companies committed to eco-friendly products like hemp. Hempest currently boasts the largest selection of hemp items, sourced from different locations throughout the globe. All fabrics and dyes are Oeko-Tex certified. Outerwear brand Patagonia is one of the most famous brands to carry organically grown hemp products. The company creates clothing with 100% hemp or blends it with fibers such as organic cotton, recycled polyester and spandex to create stylish clothing primed for adventure. Giorgio Armani’s decision to showcase hemp on the runway brought new attention to the versatile fiber. Hemp shirts, sweaters and a three-button suit were included in the company’s Emporio Armani collection, putting a high-fashion twist on a timeless material with exceptional potential. While hemp dominated several industries decades ago, current laws and regulations have made it more difficult for companies to utilize hemp in their products. 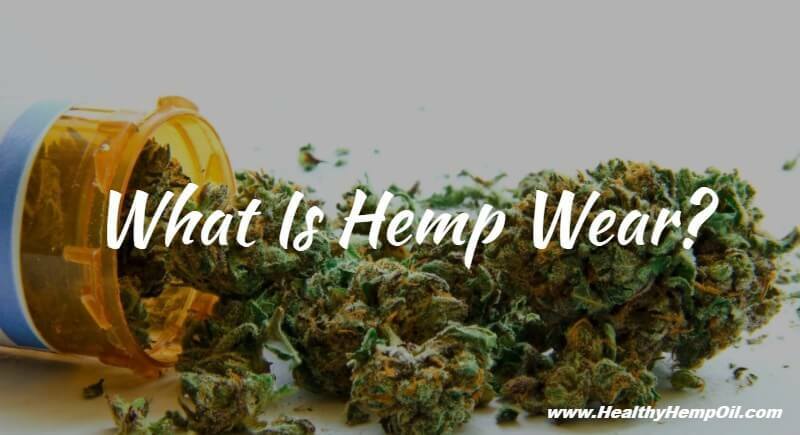 For this reason, and many others, it is important to raise awareness about the benefits of hemp and its many uses and to recognize the differences of hemp vs marijuana. Some of these additional uses include natural medicine, skincare products and more. If you have been seeking an eco-friendly alternative that carries endless potential, hemp may be the answer.